The rapid and penetrating seriousness of the spread of heroin, fentanyl, & the over use of prescription drugs is alarming and action provoking. 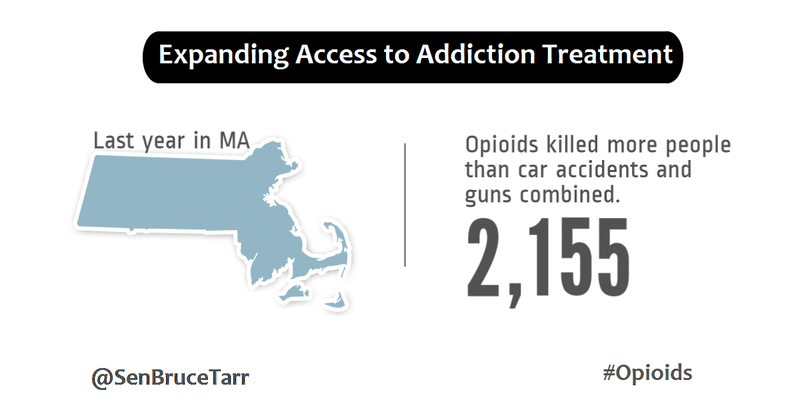 the bill that the Senate sent to Governor Charlie Baker tonight represents an important contribution to expanding the available paths to treatment and the prevention of addiction. The bill, An Act For Prevention And Access To Appropriate Care And Treatment Of Addiction, is the result of extensive collaboration and work with healthcare researchers, clinicians, hospitals, behavioral health providers, law enforcement officials, patient advocates and people who have lived with the impacts of the opioid epidemic. Bluefin Blowout – A Total Blast!